It’s Nintendo Download Update time and we have another busy week to enjoy in North America. The Switch eShop has a bumper line-up to consider, of course, though the Wii U and 3DS don’t miss out entirely; the little handheld even has a big-time RPG from Atlus that's out soon. There’s plenty to consider, so let’s get to it. 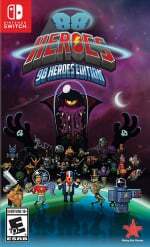 88 Heroes: 98 Heroes Edition (Rising Star Games, $29.95USD) - An action platformer with an interesting twist; you have 88 levels to clear with a time limit of 88 seconds in each. The gameplay seems to throw in various twists to keep things interesting, and on Switch it includes all of the DLC that was sold separately in other versions. 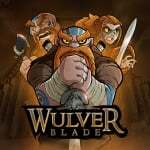 Wulverblade (Fully Illustrated, $19.99USD) – The beat ‘em up genre isn’t as popular as it once was, but this intriguing release does an excellent job of reminding us of its merits. Rooted in British history and packed full of passion, it’s a brutally tough game but one we gave a hearty recommendation in our Wulverblade review. 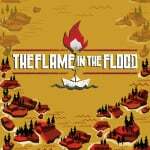 The Flame in the Flood (The Molasses Flood, $14.99USD) – Created by a team of former ‘AAA’ developers, this arrives on Switch as the Complete Edition. An intriguing ‘roguelite’ survival game, you travel along the river and alight at various towns and buildings to seek gear and vital supplies. We’ll bring you a review soon, but in the meantime here’s an interview with the game’s designer. Yono and the Celestial Elephants (Plug In Digital, $14.99USD) – A rather charming adventure game in which a plucky elephant explores, tackles puzzles and even gets into a bit of combat. Introduced in the most recent Nindies Showcase it’s undoubtedly appealing, but we’ll see whether it’s worth a purchase in our upcoming review. 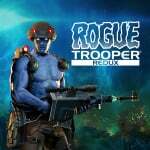 Rogue Trooper Redux (RebellionInteract, $24.99USD) - Based on the 2000 AD comic strip, this uses the 2006 original - which was ported to the Wii in 2009 under the title Rogue Trooper: The Quartz Zone Massacre - as its template, adding various upgrades for this HD remaster. We don't have many shooters on the Switch so we'll definitely give it a look. Available from 17th October. 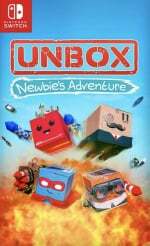 Unbox: Newbie's Adventure (Merge Games, $29.99USD) - Also coming to retail in November, this is a physics-based 3D platformer aims to encourage reminiscing over the genre's golden era while introducing its own ideas. In some ways it succeeds but there are some flaws; we gave it a light recommendation in our Unbox: Newbie's Adventure review. 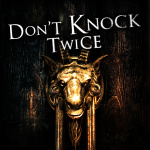 Don't Knock Twice (Wales Interactive, $12.49USD) - Developed alongside a film with the same name, this is a first-person horror game in which you explore a 'grand manor house' and try to save your daughter; it could be good Halloween fare. Available from 17th October. 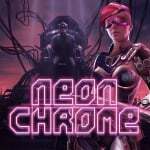 Neon Chrome (10Tons, $14.99USD) – A ‘top-down Cyberpunk shooter, this looks big on action and supports co-op for up to four players if you want to tackle it with a buddy. It has procedurally generated stages on offer but struggles to inspire that 'one-more go' feeling, as we explain in our Neon Chrome review. 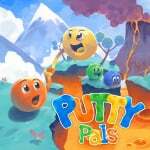 Putty Pals (Harmonious Games, $9.99USD) - In this colourful, feel-good adventure you can tackle colour-based puzzles with a friend; the co-op gameplay would seem to be a perfect match for the Switch. We'll see whether it's worth sharing with a gaming buddy in a review. 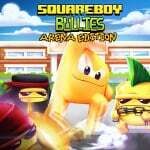 Squareboy vs Bullies: Arena Edition (Ratalaika Games, $4.99USD) – A beat ‘em up that was once on mobile, you can brawl alone or with a friend to beat up wannabe tormentors. A reasonable game, albeit one perhaps lacking a little overall, we gave it a modest recommendation in our review. 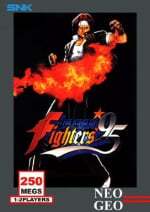 The King of Fighters '95 (HAMSTER, $7.99USD) – Another ASA release, in this case continuing our run of KoF titles. This second game in the series brings a rather welcome option that would go to become a series staple: You are not confined to pre-determined teams, so you can pick any characters from the roster to make your own dream trio. That said, its arguably superior successor is already available. Etrian Odyssey V: Beyond the Myth (SEGA, $39.99USD) - The DS and 3DS have been lucky enough to have plenty of these RPG titles from Atlus, with this fifth main entry giving us another taste of its cartographic exploration and adventure. We enjoyed some time with it in this first impressions article. Available from 17th October. Little Adventure on the Prairie (Infinite Madaa, $2.99USD) –With a name like that we thought this would be a storybook adventure, but it's actually a short platformer in which you're encouraged to "venture through 12 levels of pure slaughter and mindlessly try to kill all the monsters that are facing you". Crikey. Volgarr the Viking (Crazy Viking, $9.99) - Arrives on the Wii U a week after its Switch release. It pitches itself as a tough action platformer in which you'll die a lot. It looks a tad rough visually, but that doesn't mean it won't be a lot of fun; we'll try it out for review. 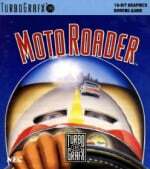 MOTOROADER (Konami, $5.99USD) – An overhead racer that likely had a lot of competition back in the day, and perhaps struggled as a result. 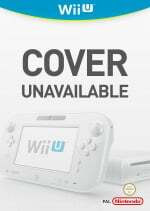 We were certainly unimpressed in our Wii Virtual Console review. 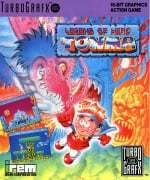 Legend of Hero Tonma (Konami, $5.99USD) – We described it as a kids' version of Ninja Spirit once upon a time, a colourful action platformer that arguably fails to live up to its contemporaries. You can read all about it in our Legend of Hero Tonma review from the Wii Virtual Console days. Digital Champ: Battle Boxing (Konami, $5.99USD) – An interesting idea and technically impressive for the time, this first-person boxing game falls short once it steps into the ring; that's what we thought in our review, anyway. EDIT: I take that back; Etrian Odyssey V this week for sure. October shall be the month of many good Odyssey’s. ^ Yep. My poor wallet needs a rest. Yono for me this week. I was interrested in Wulverblade at first. But for 20$, a brawler today should do WAY more than beating a stage and just going to the next one. At that price, I'm at least expecting something at the Castle Crashers level. I'll wait for a price drop for this (something lower than 10$, closer to a Neo Geo release for exemple). It's unbelievable how many games we're getting every week. Yono looks fun, but I'm back to the 3DS again, EOV is going to get a download from me. I still haven't beaten Axiom Verge which is an unbelievably awesome game. Get that game if you missed it on the WiiU like I did. It is a funky great Metroid clone. @thesilverbrick I was about to say this exact thing. Onslaught of games between this week and last. I usually buy more games than I have time to play but I am most definitely way too busy with Stardew Valley and Forza 7 for anything on that list to pull me away so soon. 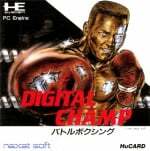 They must surely be going to run out of Neo Geo beat-em-ups to port soon, right? I don't even remember the system having this many games the first time around. Tell me why the 3ds VC service gets shafted week after week but the wiiu manages to get fairly regular VC releases? No one in there right mind can claim it takes time to test games, not this long anyway, they have literally no excuse! They release the crappy awful Castlevania Adventure but not Belmonts Revenge or Legends? Wiiu gets star tropics but not 3ds and its a first party title?! Japan gets tg16 on 3ds but we don't?! I'll simply go back to playing Gunbarich while i wait for Zero Gunner 2. Zerodiv is really funny, talking about Zero Gunner 2 coming out rather sooner then later... it can't come out soon enough for me. I’ll likely get Yono at some point. Edit: Probably not after reading a couple reviews. Sounds very short and linear, albeit cute and charming. $15 seems like a lot so I wait for a sub-$10 sale. Flame in the Flood looks really interesting... Based on the price, I wonder if it can be completed in one session? If so, I'm actually more likely to buy it and play through it one evening... maybe two? Nice. Wulverblade and probably Yono for me. Yono looks like a light, charming Zelda style game. For the price, I'm absolutely in. Unbox is very Ironic yet intriguing. The environment indeed amazing. Open world style in HD. But the characters are.... Boxes ?! Remind me Foop from Fairly Odd Parents. That Yono game is so cute. May have to give it a try. It begins, EOV, which is a long game, right into mario odyssey, and then xenoblade 2 following a little behind. Never going to get through these. I've seen the upcoming Wii U discounts for Europe this week and it's garbage, again! I will be downloading Yono and the Oceanhorn demo. "I've seen the upcoming Wii U discounts for Europe this week and it's garbage, again!" So, still thinking Wii U is the best of all ? Etrian Odyssey V: Beyond the Myth Might check this one out. @Anti-Matter That's got nothing to do with it. I'm saying the discounts are terrible. It's up to the publishers to reduce their prices. Nothing for me. Getting EOV via retail next week hopefully. I have to cancel my preorder but hope to be able to pick it up on the 20th if Walmart even carries it. Where the heck are the Nintendo arcade games? EOV and only EOV, but retail. Excited for Yono, Wulverblade, and Flame in the Flood. It's a shame that there is no time to actually play these with all the super quality titles I already have on the back burner. I fee like Wulverblade should have dropped many weeks ago if it wanted even a remote chance of being a smash hit at that price point. Wulverblade and Rogue Trooper soon but, I plan on playing the Flame in the Flood ASAP. Hopefully that will last me until Mario drops. I'm still on the fence with FE Warriors. @thesilverbrick I always like your opinion - what would you recommend this week? I have to start being pickier, getting a backlog of unplayed games. Nothing for me, playing stardew valley still. Got Destiny 2 on PC in less than 2 weeks and super Mario odyssey right after that going to be a long gaming month, plus still need to finish off Samus Returns almost have it beat. Nothing for me to download later, unless some games prove to be of interest to me. Not a problem, either, as gaming is a hobby, not my life, & money has to go for obvious life-necessities. @Dang69 I'm flattered that you respect my opinions, but honestly, it's too early for me to jump on any of the games released this week. I'll have to wait for some reviews before I'm willing to spend any money. I had my eye on Yono and the Celestial Elephants, but after watching some footage of it, it's looking a little underwhelming. I'm curious to see how it reviews. If you're looking for a recommendation of a game released recently, I was pleasantly surprised by Lovers in a Dangerous Space Time. It's not all that great when you play solo, but if you can find a couple friends to sit down with and play it, you won't be disappointed. It's one of the best co-op experiences I've ever had. @thesilverbrick Same here with Yono - excited when it was announced during the Nindie thing, watched a little of a play thru this week and felt totally bored by it and shut it off. Forgot about "Lovers" though! Will grab that before I go hang with my married friends. I think Flame in the Flood looks the best this week, but not sure if it'll be "too" precious. Couple of good things this week but I'm slammed on the gaming front. So, nothing for me this week. Simply because I can't keep up. @Biff_ARMStrong - I had the same problem, couldn't find it available to order anywhere (I'm in BC, not Ontario) ... I ended up pre-ordering on Play-Asia (https://www.play-asia.com/88-heroes-98-heroes-edition/13/70bfit). It comes to $44.69 with taxes and the cheaper shipping option. Yes, it's more than the download version ... but personally, I don't mind paying a bit more to have the cart. Downloads should be cheaper anyway. Anyhow, enjoy! @Biff_ARMStrong @lillith Amazon has it too https://www.amazon.com/88-Heroes-98-Nintendo-Switch/dp/B074V415D3 - but it isn't showing up anywhere else. On Nintendo's page for it, they link out to broken pages? @Dang69 Thank you, should have mentioned Amazon as well. Unfortunately it's $54 for us poor Canucks to grab it from there, and I'm cheap. Well, I’ve been visiting Nintendo Life since picking up a Switch in late March, and I decided that it’s well past time that I create an account! I have my eye on “Neon Chrome” from this week’s list, with “Wulverblade” a likely purchase at some point too. I’m a week or two away from my next solid chance for couch co-op, though, so I might roll back to last week for “Oxenfree” (which I’ve never played elsewhere) or “Earth Atlantis” (which I think will benefit greatly from the pending patch). Separate-but-related (to Eshop offerings): does anyone think that “Hollow Knight” might arrive by Halloween? “Stardew Valley” (which I am enjoying thus far, but which has not yet grown to become an obsession, and perhaps it won’t) certainly proved that the turnaround time from submission to approval can be short. Here’s hoping! If I had a Twitter account I’d ask Team Cherry, but it seems silly to create one just for that purpose. I think I played Volgarr the Viking on Xbox One once because it was a Games with Gold game early in Xbox One's life. It wasn't bad for what it was setting out to do, but it certainly captured the old school difficulty level. @rharalson I bought Oxenfree and Earth Atlantis last week and will say, without a shadow of a doubt, if you're choosing between the two get Oxenfree. Just a filler week before FE Warriors. That said I have no idea why they didn't put that out this week instead of next so it has a little breathing room from Odyssey. @Dang69 Thank you for the recommendation — I will honor it! I wish in some ways that I had bought “Earth Atlantis” last week instead of “Stardew Valley,” as the latter is completely enjoyable but seems to require more time than I can offer. I think “Oxenfree” will be a good fit for me. I'll buy Etrian Odyssey V retail version, nothing to download. Who has vote "Nothing for me this week" all year? Not me but I'm curious. Glad to see TurboGrafx games still released on WiiU. Sadly one more week without Lords of Thunder. @dystome "beat 'em up" Do you mean one-on-one fighting games? Shockingly I think that it is only like a third of the NeoGeo's library. Or the Double Dragon/Final Fight kind? I think there weren't AS MANY of those. Wow the Switch is cooking- just need more choices at retail and I’m good!! @rharalson If something in Stardew appeals to you, in the general aesthetic, but you find it a bit too slow/time consuming/meandering, try Golf Story. I love that game, has some of the same appeal as a Stardew in a basic sense, but plays more to a straight forward storyline, is quicker and snappier. Doesn't make it "better", but maybe better for you? 3 Turbografx games!! it is very good. I hope at this rate we can get almost full Wii VC Turbografx in Wii U before it dies. It's kind of sad to see so many in the comments here and under the European update ignoring Wulverblade and Flame and the Flood. Someone above said 'filler week", over in the other article several have classed it as a weak week. There's several games up there worthy of consideration with at least 2 of them being top quality. The Wii U never seen a week like this ever, shows how spoiled we've been on Switch. Flame in the Flood seems right up my alley. Not geting it right now, as it seems Stardew Valley will last me until Mario Odyssey (and beyond), but it definitely goes on the top of my eShop wishlist. nothing for me this week. Saving for FE Warriors next week followed by Odyssey following week xD. Putty Pals is not on the eShop... according to my research, it releases on October 18th for Switch. More random crap on the eshop. Better just save the cash for Mario and Wolfenstein at end of the month. A game every week is one thing, but this week is 3. I loved rogue trooper on Wii so I'm def getting this. Wulverblade and flame both look like they well worth the money. My switch is costing too much money. Am I the only one on this website that doesn't buy a million indies? I guess I'm just weird for not really caring about most of them. 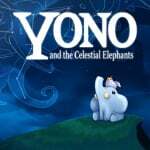 Did anyone try Yono and the Celestial Elephants? It stars a freaking elephant, which is awesome, and looks old-school Zelda-ish, if old-school Zelda-ish was isometric, which is also awesome. There's so many games to play, and the switch is becoming a financial drain...but...did anyone buy it, or is it just irrelephant? I've bought Wulverblade, I'm getting rogue troopers when it's released. Flame in the floods also looks good, and I just found a snes classic. And as if that's not enough Odyssey is right around the corner. Too much. I haven't bought a million indies, but if your passing on all of them I think you're missing out on some great ones no matter what type of games you like. Pretty good week, but there's no point in getting something now when I'll just drop it as soon as Super Mario Odyssey launches. @KirbyTheVampire You're missing out if you arbitrarily skip games just because they don't cost millions of dollars to make. I like Wulverblade but not this week. Devoting all my Switch time to Stardew Valley right now. @Ralizah When did I ever say I skip games just because they're low budget? Stardew Valley is one of my favorite games, and it was made by one guy. I'm just saying I find it kind of weird how every single week people have like 3-5 new indies they're super pumped for, whereas I usually only see one I would legitimately consider buying once in a blue moon. But then again, I own a decent PC, so I could see how Nintendo-only gamers would be especially enticed. Plus, I'm kinda cheap when it comes to games. Picked up the free Etrian theme. It's still amazing to me that after all these years there's less than 6 free themes in the theme store. @KirbyTheVampire Sorry, your post sounded like one of those "I don't buy indie games" comments. Anyway, I'd say the portability is also a factor. I bought Stardew Valley, for example, even though I own it on PC. The reason? It's fully portable. I actually skipped a lot of indie games because I didn't want to play them on stationary platforms, but will pay more to get them on the Switch. @Ralizah No worries. And yeah, that's probably a pretty big part of it. @Dang69 Thank you for the follow-up suggestion! I wasn’t sure what to make of “Golf Story,” though I did note the positive review here at Nintendo Life, so I kinda let it slip by. The pacing and narrative focus you describe sounds much more in line with my personal taste. I’ll give it a try ASAP — though “Oxenfree” comes first, as I did download it last night and can’t wait to start it sometime today (the University that I work for is closed for fall break!). By the way, aside from adding “Golf Story” to the (ever-growing) want list, “Fire Emblem Warriors” and “Super Mario Odyssey” are my next two retail purchases, while “The Mummy Demastered” will likely be my next Eshop download.